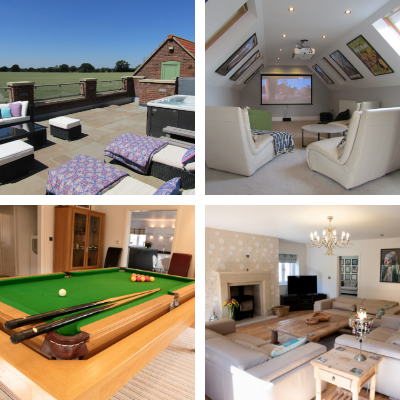 Have a fantastic celebration with family and friends at one of our amazing large, luxury cottages. 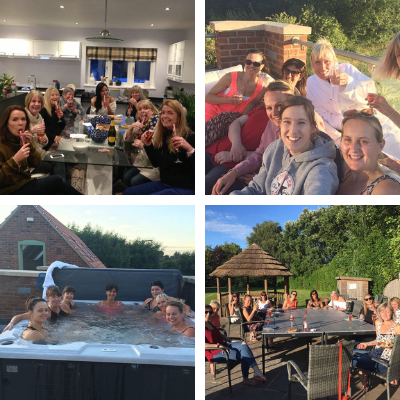 Our holiday homes are the perfect venue to celebrate a birthday for you or a loved one. Packed with luxury facilities, our cottages are sure to make any celebration truly special. 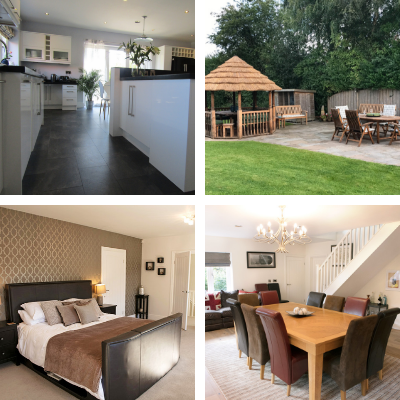 Warm welcomes to west Acre a truly amazing one of a kind cottage designed with entertainment, comfort and relaxation at its core, truly making it your home away from home. West Acre is the perfect venue for any birthday celebration with plenty to do and luxury amenities that will make sure your celebration is a truly memorable once in a lifetime experience. Host Support & Welcome - Jeff was amazing and the correspondence with Vicki was fantastic. Beautiful house. The photos on the website are fantastic but they don't show just how big the house is, it's amazing. Happy for you to use our photos. We loved playing rounders and the garden is so big there was no chance of losing the ball. Just an absolutely ideal location. Couldn't ask for any more. Vicki was at the end the phone any time - even answering a text in the evening about hairdryers. The cupboards were well stocked, and everything you could need for any occasion was provided, indoors and outdoors. It's Judith's 50th next year and we are definitely going to come back. The decor is beautiful and everything is amazing. One of West Acre’s many stand out features is the outdoor terrace. 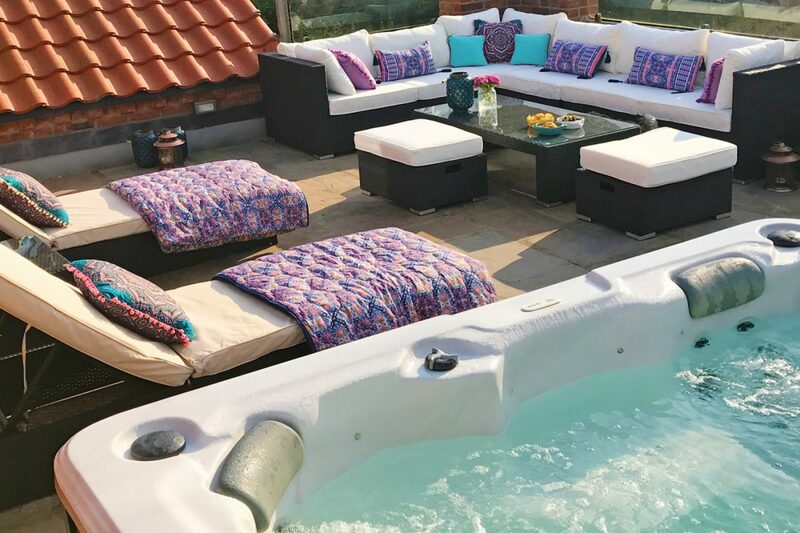 The terrace is kitted out with a hot tub, sun loungers and a seating area for all of your group to have some well deserved relaxation. Time to get some snacks and head on up to West Acre’s very own cinema room, complete with projector screen, booming surround sound speakers and luxuriously comfortable seating for a cinema like experience. Our 7 individually designed bedrooms have been designed with your comfort in mind using luxury bedding to make sure that you have a great nights sleep. There are loads of eating areas in the house including the large dining room table and neighboring state of the art kitchen that all chefs will love; you can also have a cheeky cocktail at the dining rooms honesty gin bar Or if you want to go alfresco you can go to the patio where there is a large table that will fit the whole group right next to a BBQ, alternatively there is the African hut that is located right next to the patio. We couldn't praise them enough. It was all the little touches, like when we realised we had forgotten stuff like shampoo, we opened the cupboard and there was everything we needed with a little note saying "help yourself". All the information for the gadgets was there, although we still managed to put the hot tub to sleep! None of us have ever stayed anywhere like this before and is totally "up there" in the ratings. We couldn't fault it. Jeff and Vicki were so "to hand" and they go out of their way to sort anything for you. Very welcoming, and we felt really comfortable there. We didn't expect the pictures on the website to be as real as they were. There is so much to do, even by the Sunday we felt we hadn't used all of the facilities, like the table tennis, or used the cinema room enough. The house lends itself to entertaining, you don't need to do anything yourself, it's all there.